Never settle for bad sleep. Your body craves quality sleep, and your mind absolutely demands it. 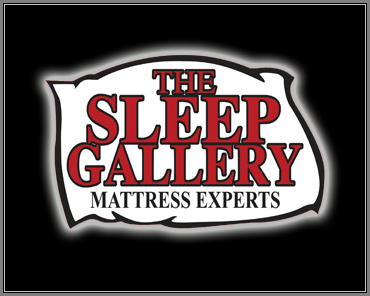 At The Sleep Gallery, we are advocates of a long, happy, healthy life. In order for this to happen, we all need to sleep great. We all require restorative sleep that rejuvenates us and provides a spring in our step. When we get bad sleep, we rack up a sleep deficient that drags down our performance, zaps our thinking and leads to other health issues. Your lifestyle must include a routine that embraces and supports great sleep. We spend more than one-third of our lives in bed and that time needs to count and we have a few sleep tips to help you meet and surpass this super important goal for us all. It all starts with the sleep system. Be sure your mattress and foundation meet your needs for both comfort and support. Pressure points will effect your sleep style, so make sure your body type and sleep style are considered with your sleep system. If you sleep with a partner, your mattress should also allow you both enough space to move easily. A good mattress will provide many years of quality sleep. Next, you need the ideal sleep environment. Light is one of the body's most powerful time cues. The rising sun can wake up the brain long before the alarm goes off. A dark room is the most conducive for sleep - day or night. Sudden, loud noises from inside or outside the home can disrupt sleep. Steady, low sounds, such as the whir of a fan or air conditioner, are soothing because they help block out distracting noises. The ideal bedroom temperature is 60 to 65 degrees Fahrenheit (16 to 18 degrees Celsius). A room that's too warm or too cool can disrupt comfortable sleep. Now, you need a supportive sleep routine. Establish a regular, relaxing bedtime routine such as soaking in a hot bath or hot tub and then reading a book or listening to soothing music. This will help your body to "wind down". Use your bedroom only for sleep & relaxation. Take work materials, computers and televisions out of the sleeping environment. Finish eating at least two to three hours before your regular bedtime. Avoid nicotine (e.g., cigarettes, tobacco products), avoid caffeine (e.g., coffee, tea, soft drinks, chocolate), and avoid alcohol close to bedtime.